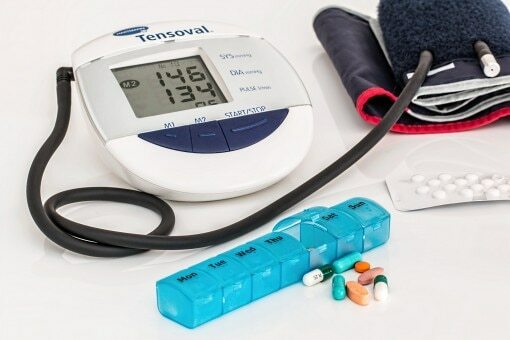 It is important to know your blood pressure as well as what is considered normal. This is integral to your health and can help you live, eat, and exercise properly based on your needs. All blood pressure readings come with two numbers. The upper number is systolic blood pressure and the lower number is diastolic blood pressure. Generally, the systolic number is one people pay attention to more because this represents the pressure that your blood puts on your artery walls as the heart beats. While the diastolic number does the same, it measures the in-between beats period. The American Heart Association lists that a normal blood pressure is less than 120 over less than 80. For example, if your blood pressure reads 110 over 70, you are healthy in this area. This is the range that is suggested for all adults. Slightly above those maximum numbers is considered elevated blood pressure. This is also important to understand because there are a lot of people with high blood pressure in America. High blood pressure technically has three stages, as the American Heart Association mentions. As soon as the upper or systolic number gets to 130-139 and the bottom number is between 80-89, this is stage one. If the systolic number reaches 140 or higher and the bottom number is 90 or higher, this is stage two. Stage three is very dangerous and is actually called a hypertensive crisis. This occurs when numbers reach higher than 180 on the top and higher than 120 on the bottom. This requires immediate emergency medical attention. This stage can easily lead to a heart attack, stroke, or other life-threatening medical issues. If your body does move into the high blood pressure numbers, be sure to talk to your doctor and consider some diet, fitness, and stress changes. Maintaining a normal blood pressure can help prevent future health problems. For example, eating less meat can lower blood pressure. To read more about this, check out another AskDrManny.com article about how vegetarians have lower blood pressures. Overall, be sure to visit your doctor regularly so that you can keep an eye on your blood pressure and understand what it means for your lifestyle.